Hey guys, I have this orchid I bought for my mom around a year ago. It recently started sending out these... things. I thought the first one was a flower stalk but now there's a few and they're going into the soil, which makes me think they're just roots. If that's the case, I should probably repot, right? If so, how much bigger should I go? Anything else I should know? Thanks everyone. Hi I have included a link. 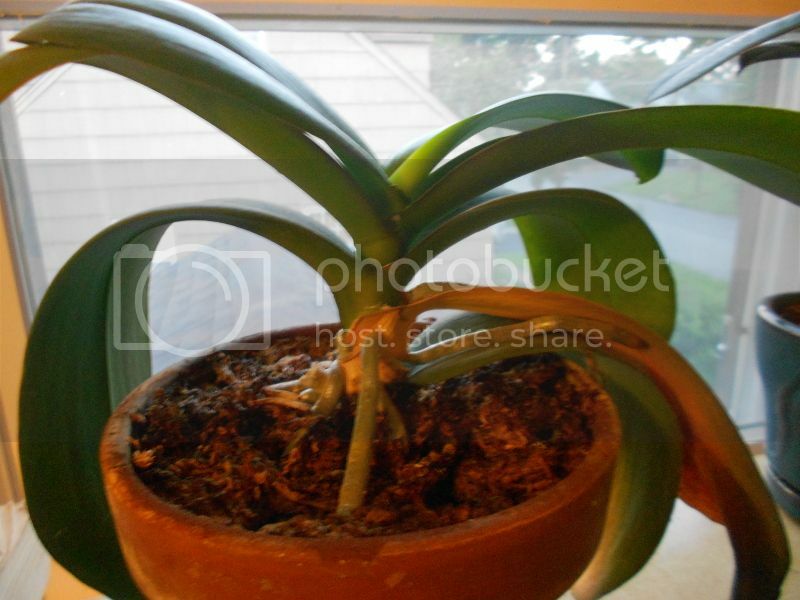 the first on how to repot a phalanopsis. The only thing I would do different is to not reuse bark or peanuts. Orchid media should be soaked first (10% bleach solution is common) usually overnight and then rinsed and drained. Discard anything that sinks. Wash your hands or wear gloves, sterilize tools (heat with a torch) or use disposable knife cutters, use a new blade for each plant. Use a box, bin or newspaper, it makes cleanup easier. Do not reuse media. Water the plant well before you re pot or soak it for a few minutes if it won't come out of the pot. Soaking also makes the roots more pliable and you don't want to break roots. You will not water the plant again for at least 7-10 days to give the roots a chance to heal. The second is a link to the AOS culture sheet for phalaenopsis. 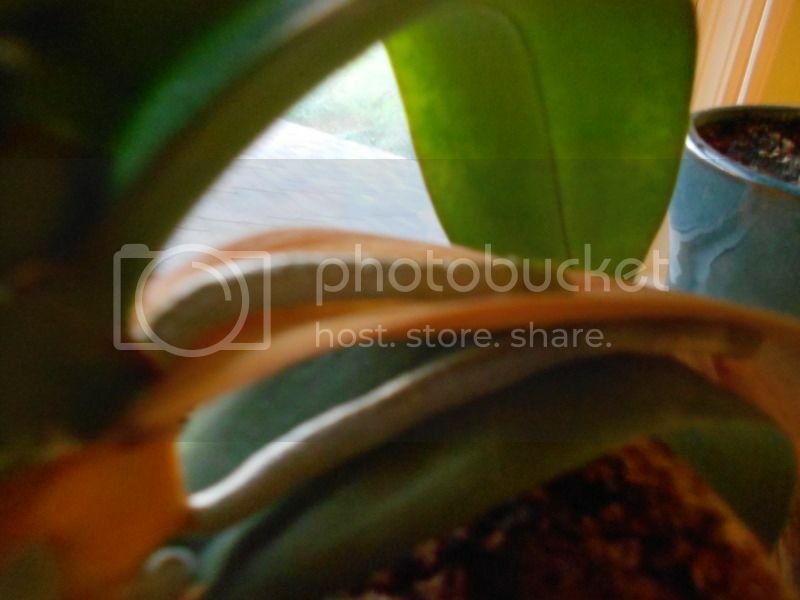 You are doing a great job, your Phalaenopsis looks happy and healthy.